War-date Autograph Document Signed “Josiah Harvey” 1pp. 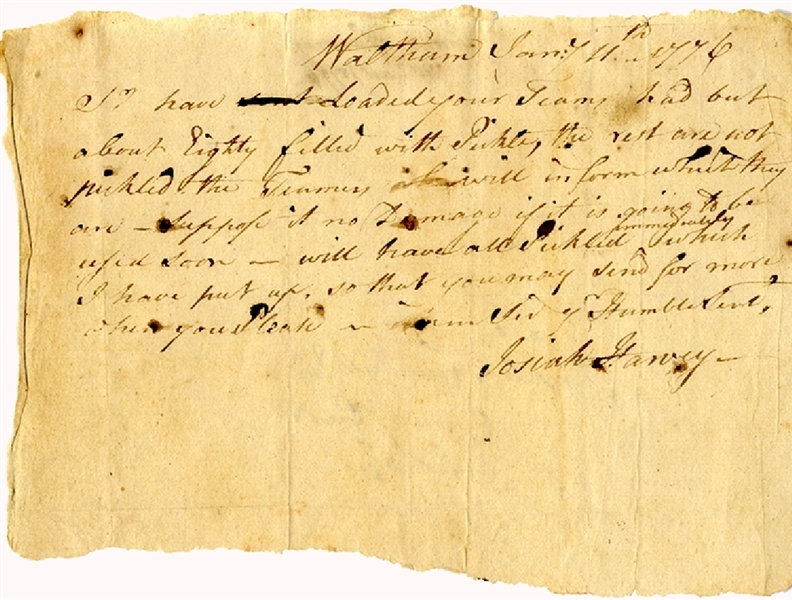 oblong octavo, Waltham, Massachusetts, January 11, 1776, addressed to Joseph Trumbull in Cambridge, and reads in part: “...I have loaded your teams, had but about eighty filled with pickles the rest are not pickled...” Fine condition. Joseph Trumbull (1737-1778), son of Governor Jonathan Trumbull of Connecticut, was the first commissary general of the Continental Army during the American Revolutionary War.